The Esplanade Film Club now meets on the last Thursday of the month. The monthly Street Fairs start again from Sunday 7th April on the Esplanade. This Easter month sees the return of many regular, favourite bands including the Time Travellers, the Jury, Crow Dawn & Acoustic Roots plus festival band Square One. Opening Times are 12 noon - 12 midnight. No bottles or glasses may be taken outside. Entry may be restricted on busy nights. The best traditional local ales, ciders & wines plus our award winning Draught Guiness & extensive gin menu.The Club has won Somerset CAMRA Club of the year 5 times. Hot drinks also available & freshly made rolls at weekends. You are welcome to eat your fish & chips at our tables. Please Note: to comply with licensing laws - drinks taken outside must be consumed within our designated area . 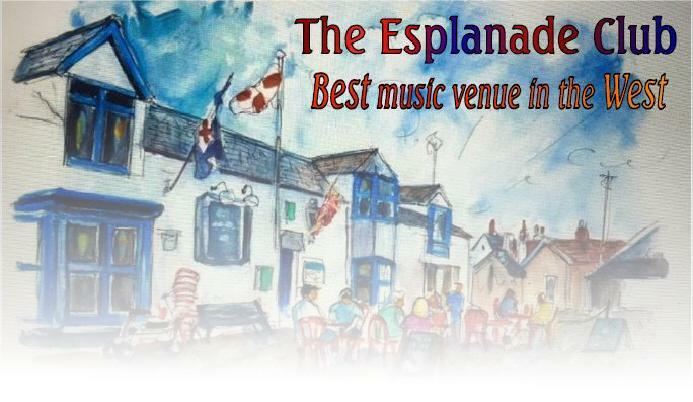 Watchet's Harbour Bar hosts the best local venue for live music plus loads of atmosphere and friendly bar staff. Music is always FREE! There are bands on every Friday & Saturday. Open Mic Night is on the first Tuesday of the month & Folk Night on the second and fourth Wednesday.The Creative Club meets on the first Wednesday and the Watchet Boatowners on the second Monday.The Club is an archive of local history and has many features of interest including its famous murals. You can even travel home by TARDIS if you have one too many. Friendly Dogs & well behaved children welcome. All Bands start around 9pm and and are FREE!